The Crissy Field Overlook is the third in a series of scenic overlooks that will be constructed in the Presidio along major trails and bikeways. Located on Lincoln Boulevard above the historic hangers at Crissy Field, the overlook has sweeping views of Crissy Field, San Francisco Bay, the city skyline, and the East Bay hills. The overlook is separated from the street by a stone wall and is paved with radial cut stone pavers that follow the gentle curve of the site. 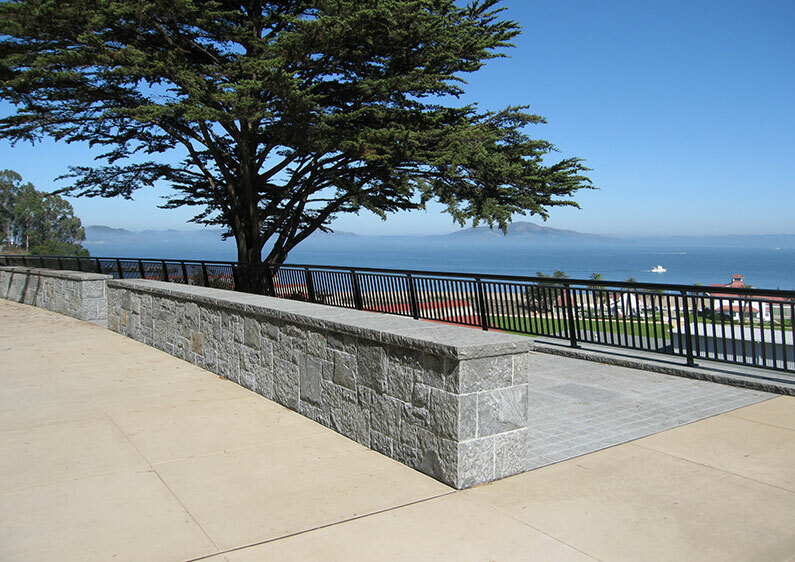 The space is centered on a large Monterey cypress that gives a sense of scale to the overlook. 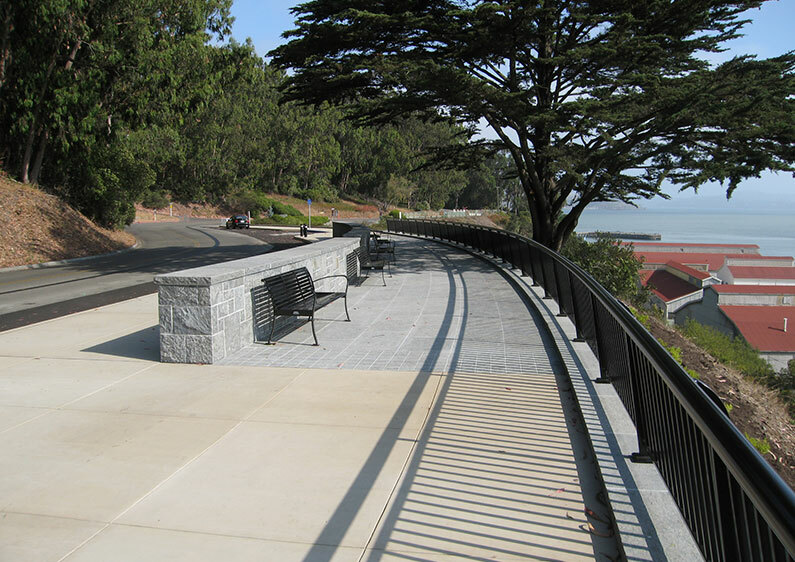 An ornamental guardrail along the edge of the overlook provides a safe place above the steep slope to linger and enjoy the views.